Beacon Generator BG-105 is high-precision simulator of Cospas-Sarsat emergency beacon messages (EPIRB, ELT, PLB operating in 406MHz frequency range). BG-105 allows to simulate up to five simultaneously operating beacons with messages overlay in time. Beacon Generator BG-105 is high-precision simulator of Cospas-Sarsat emergency beacon messages (EPIRB, ELT, PLB operating in 406MHz frequency range). 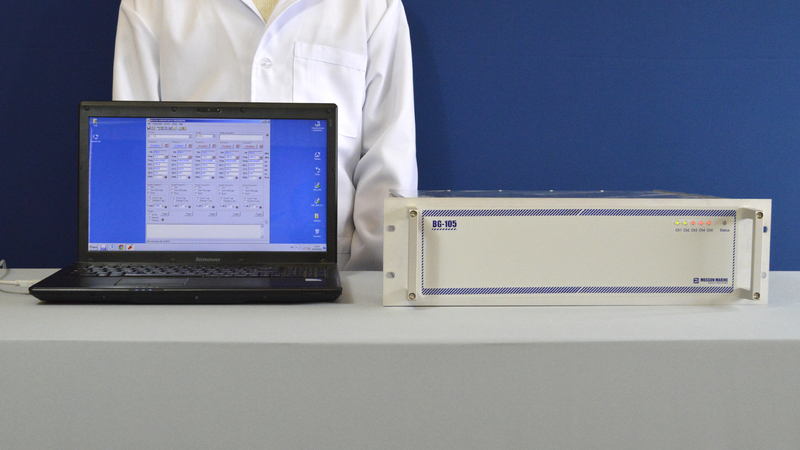 BG-105 allows to simulate up to five simultaneously operating beacons with messages overlay in time. The generator is intended to operate under PC control to provide the customization of main parameters of each simulated beacon on every of five channels by means of terminal program. - to support Cospas-Sarsat spacecraft, LUT and MCC commissioning tests. The BG-105 is a custom-made test instrument. Its purpose is to simulate the simultaneous activation of multiple distress beacons. 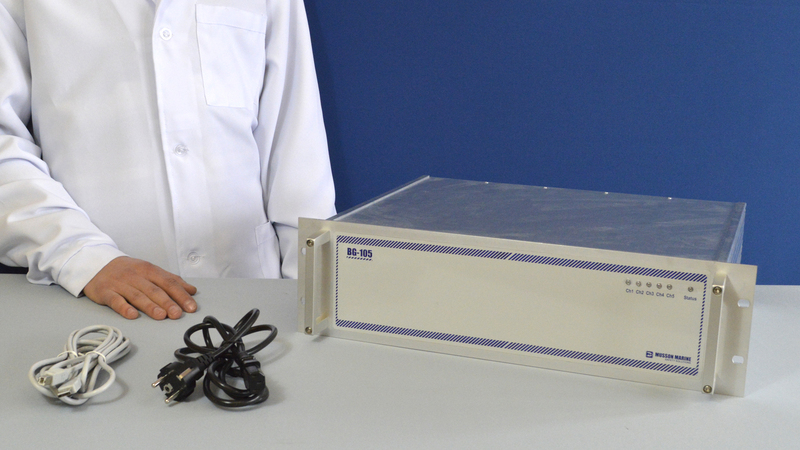 The BG-105 contains five independent frequency generators, each capable of producing either a stream of time-multiplexed signal pulses from one or more beacons or a continuous wave output. The generators provide the capability to produce up to five concurrent beacon transmissions. The net effect is the production of multiple beacon signals with possible overlaps in both time and frequency. The sum of the outputs from the generators can be amplified by a high-powered RF transmitter before delivery to the appropriate antenna. The BG-105 control software provides the capability for configuring simulated beacon signals and complex test scenarios. -Generate Beacon Test Sequences pursuant to Cospas-Sarsat commissioning standards. - Simulate a large number of beacons for system capacity tests. -Vary the radio frequency and data content parameters associated with each beacon transmission to test the capability of the system and to detect and process beacons with different parameters. 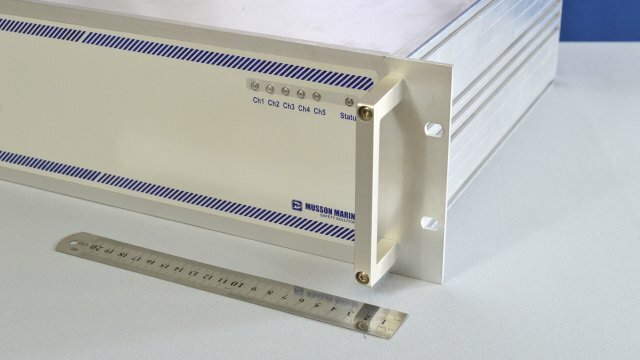 -Add interfering carriers or white noise to the beacon transmissions to test the system for impacts of detection and processing from external in band interference. -A self verification capability consisting of the processing capability of a GEOLUT. This allows the verification that the transmitted signals are correct. -Simulate collisions between beacons; that is, beacons that overlap in time, in frequency or both to determine how the system reacts to overlapping beacons. 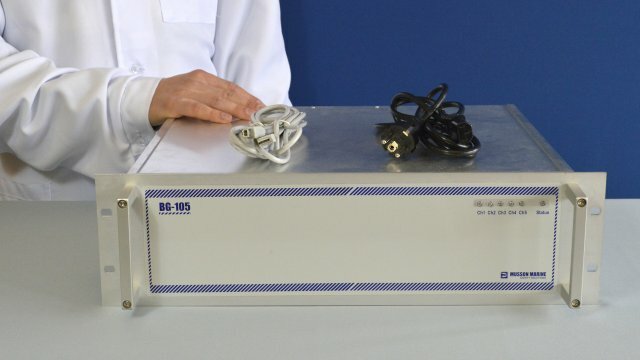 The BG-105 Simulator requires to be connected to any PC or laptop for proper operation. The connection is carried out by means of standard USB cable and special software. The minimal requirements are Microsoft OS, such as Windows XP, Windows Vista or Windows 7 or 8, at least 1 USB port. No special hardware configuration is required. 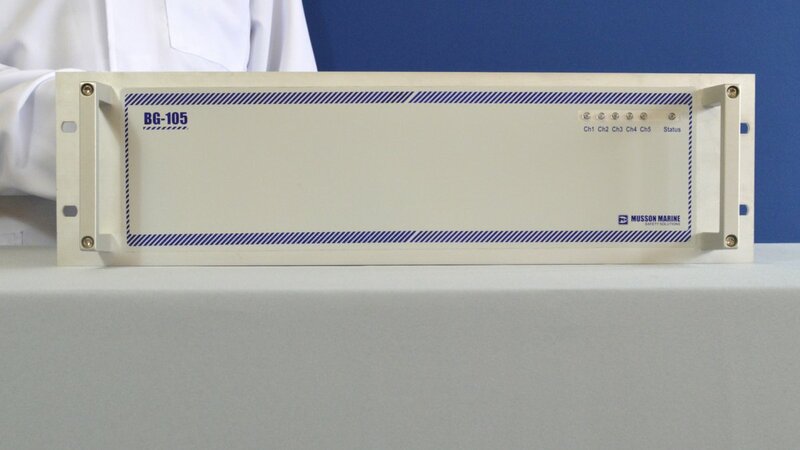 EMC: Complies with EN61326 Class B.